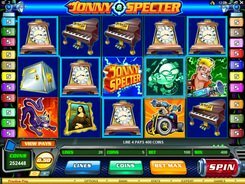 Jonny Specter is a funny ghost hunter-themed slot machine from Microgaming. 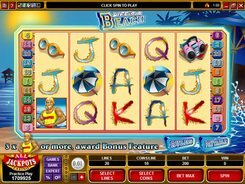 The slot is playable over five reels and 20 lines. 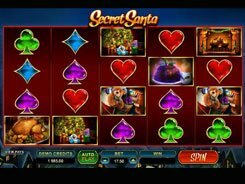 Jonny Specter offers some nice special features to keep you entertained, including wilds, scatters, free spins, and the developer’s unique Wandering Wild feature. 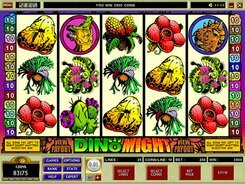 By manipulating coin sizes, the number of coins per line, and the number of paylines, you can wager anywhere between $0.01 and $50 per spin. The gaming action takes place in a haunted house, so the slot’s symbols are related to ghosts and household items. These include a telephone, a grand piano, a black cat, a Mona Lisa replica, etc. 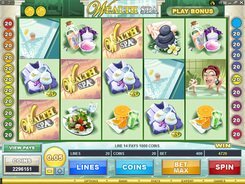 The first-jackpot worth x3000 times a bet is awarded for rolling up five Jonny Specter logos across an active payline. Three or more symbols depicting a ghost in the crosshairs scattered anywhere on the reels trigger 13 free games. During the feature, an eery green phantom can randomly haunt any symbol and turn an entire reel into wild, thereby boosting your winning opportunities. Ultimately, the Haunted House symbol appearing on reel 5 activates a bonus round where you have to take a pick from three ghosts and earn a decent cash prize. PLAY FOR REAL MONEY!